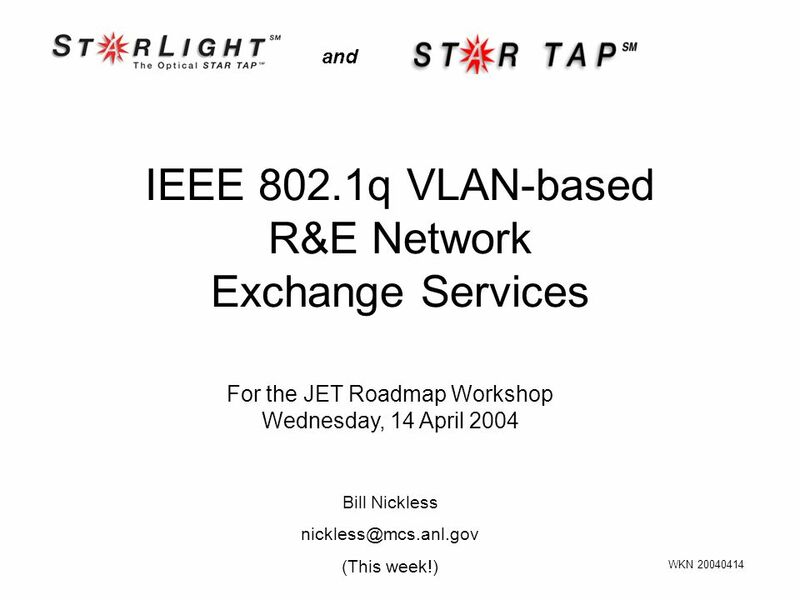 Download ppt "IEEE 802.1q VLAN-based R&E Network Exchange Services and For the JET Roadmap Workshop Wednesday, 14 April 2004 WKN 20040414 Bill Nickless"
Tom DeFanti, Maxine Brown Principal Investigators, STAR TAP Linda Winkler, Bill Nickless, Alan Verlo, Caren Litvanyi, Andy Schmidt STAR TAP Engineering. 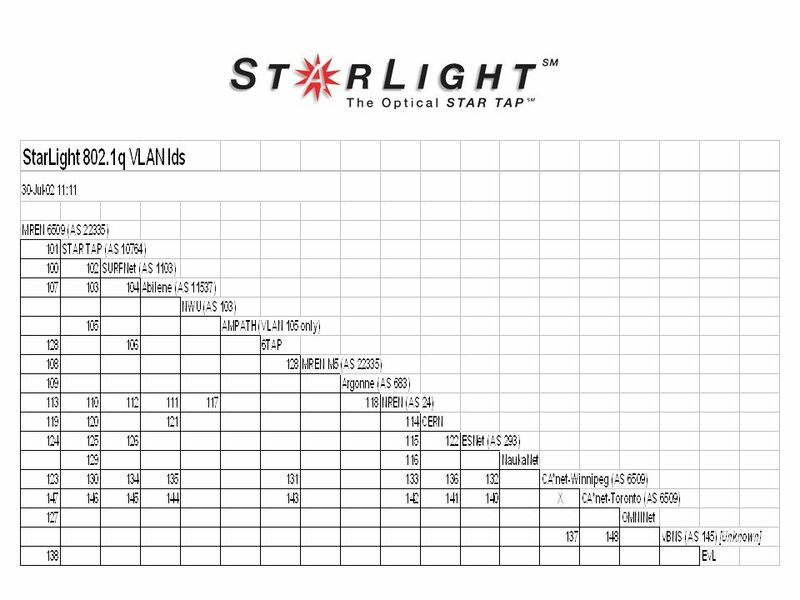 Andrew Schmidt Electronic Visualization Laboratory University of Illinois at Chicago. 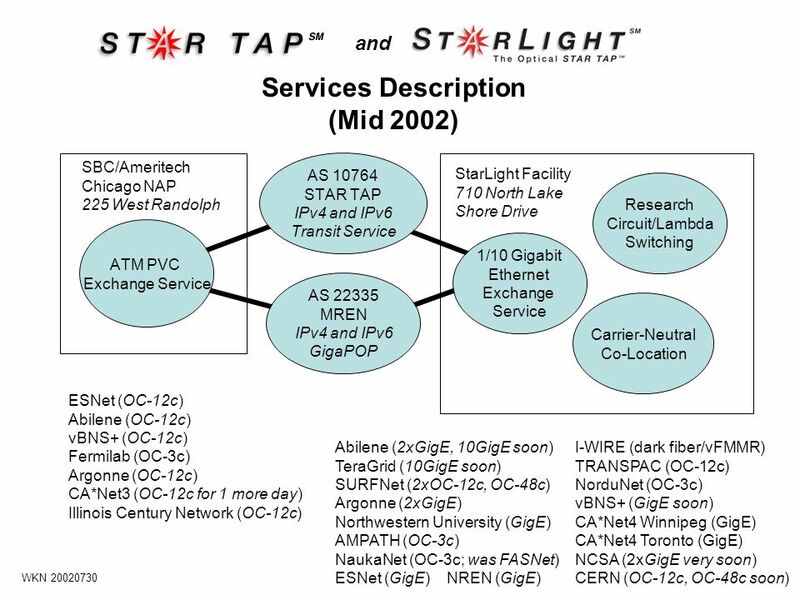 6TAP for an IPv6 Internet Becca L. Nitzan ESnet/Lawrence Berkeley National Lab STAR TAP Meeting June 22, 1999, San Jose, CA. 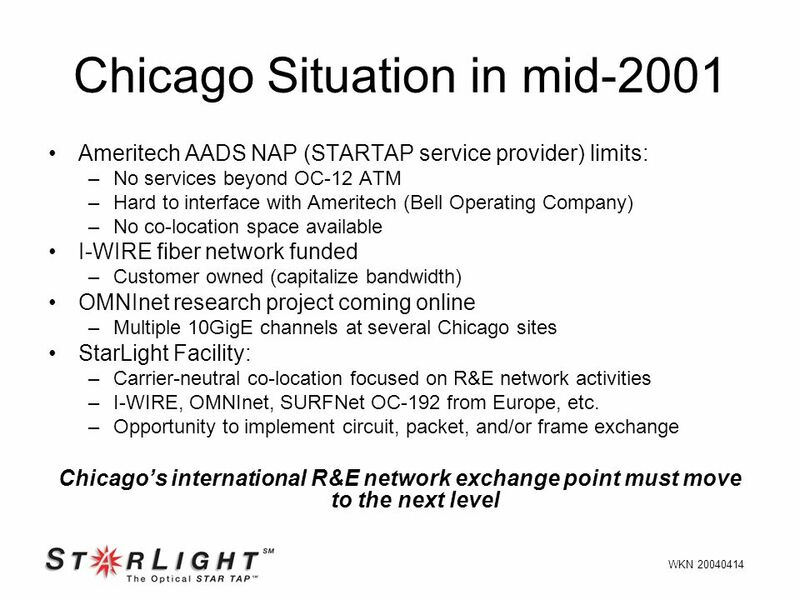 University of Illinois at Chicago STAR TAP The Persistent Interconnect for International High-Performance Networks STAR TAP Engineering Overview. 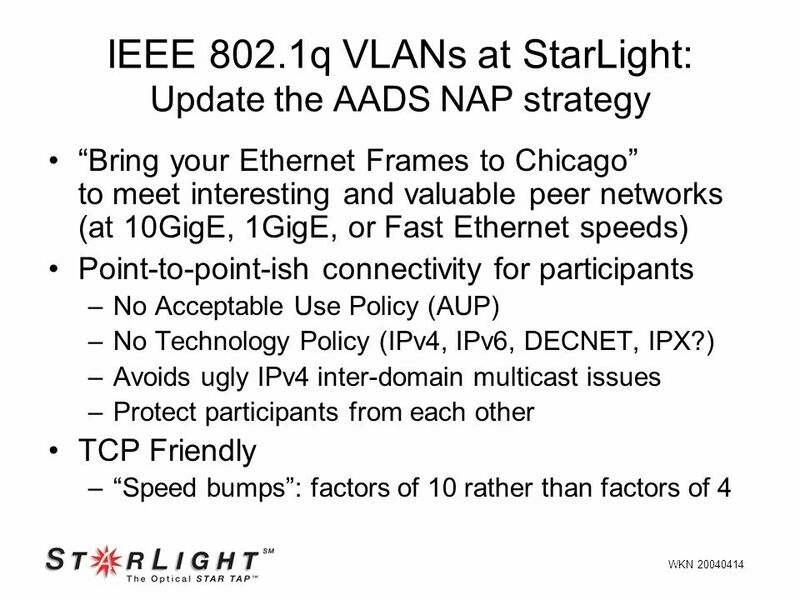 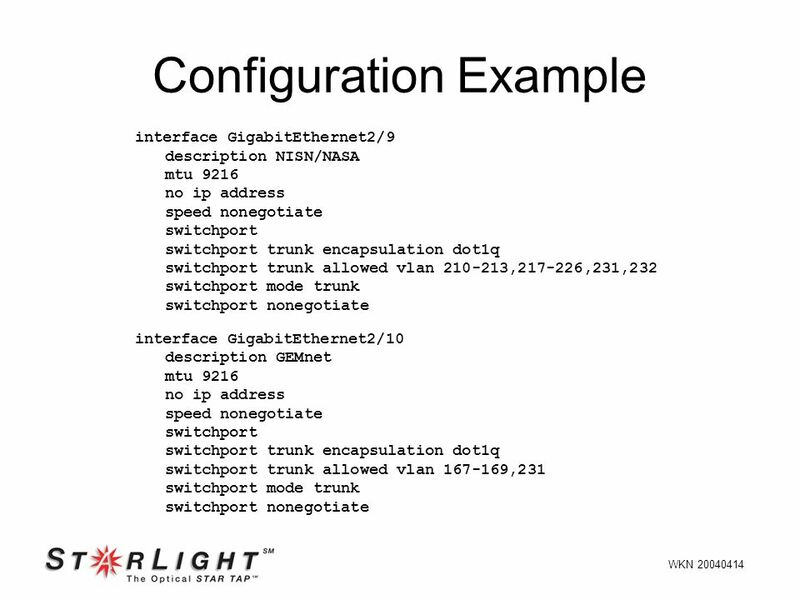 INET99/STARTAP Ameritech NAP Andrew Schmidt Ameritech. 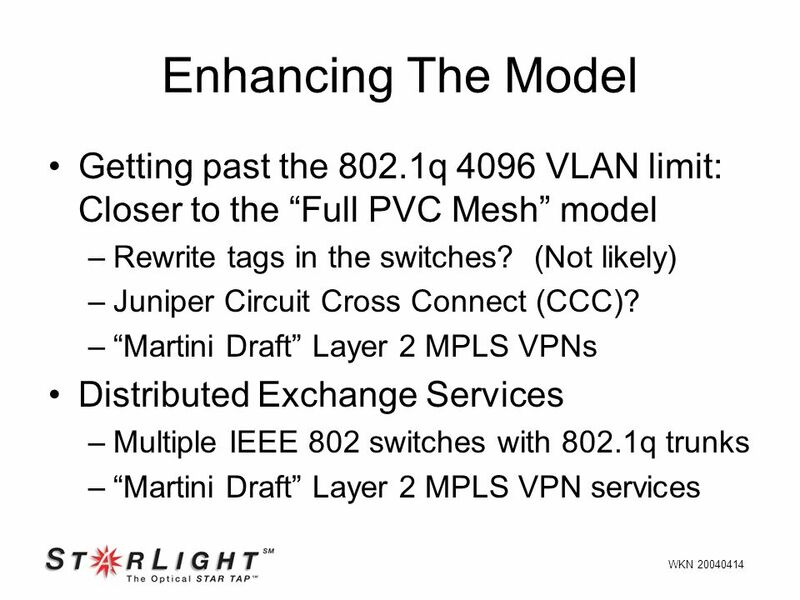 University of Illinois at Chicago Current STAR TAP Technical Engineering Activities Full-mesh PVC provisioning IPv4 routing Network statistics. 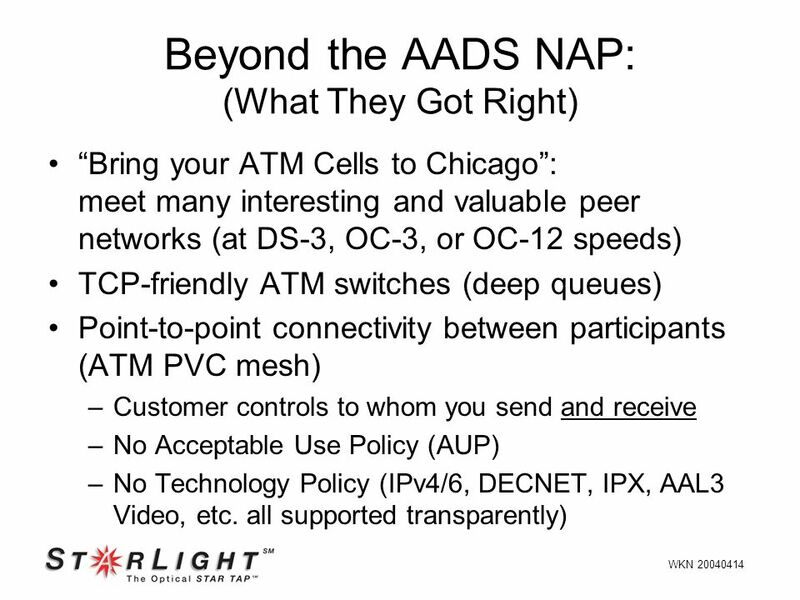 June Canadas National Optical Internet. 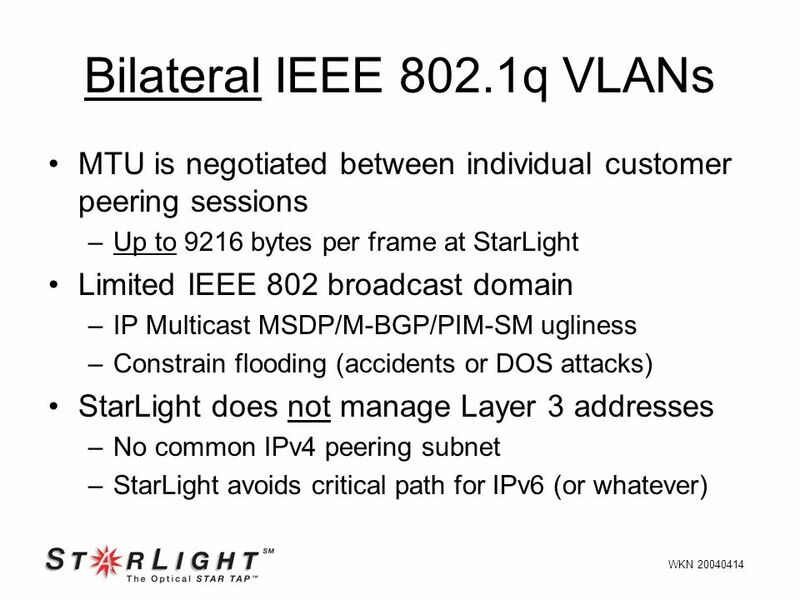 Steve Goldstein – NORDUnet 2003– Reykjavik, IS NSF and the Internationalization of the [Academic] Internet Steve Goldstein (Retired, former NSF Program.